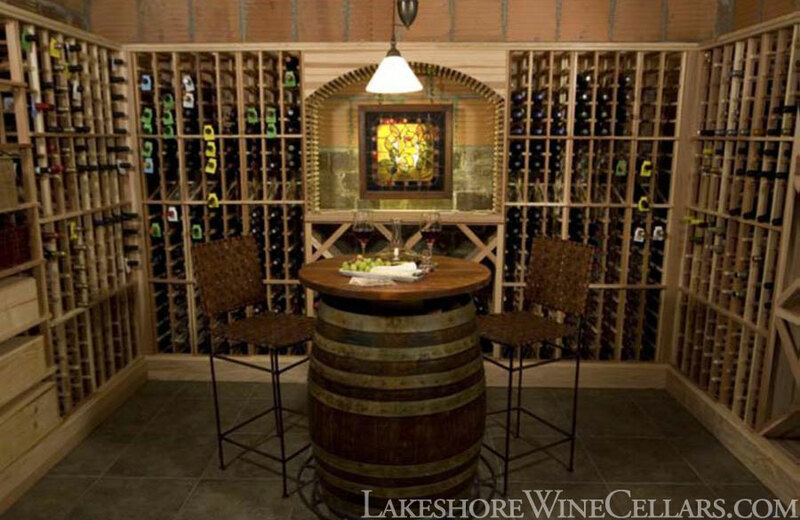 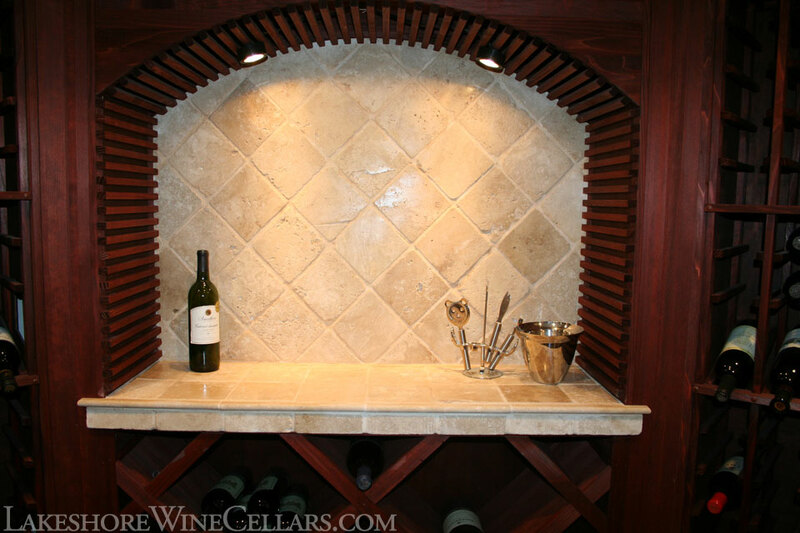 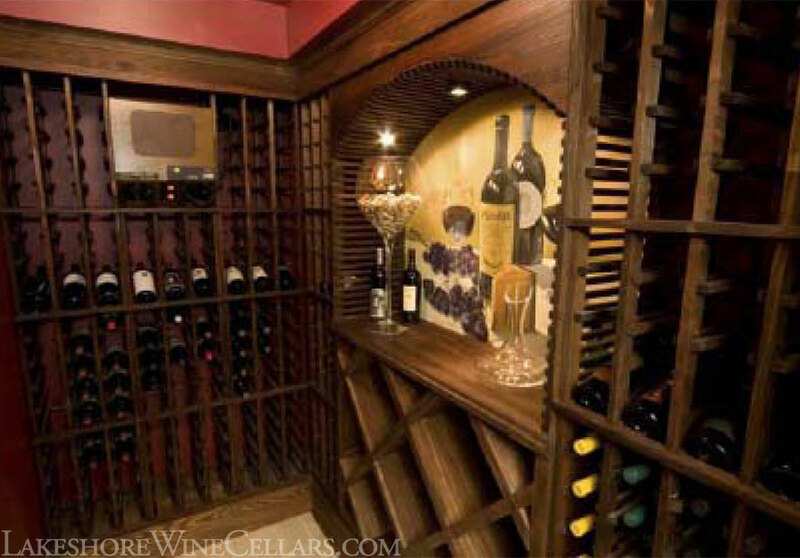 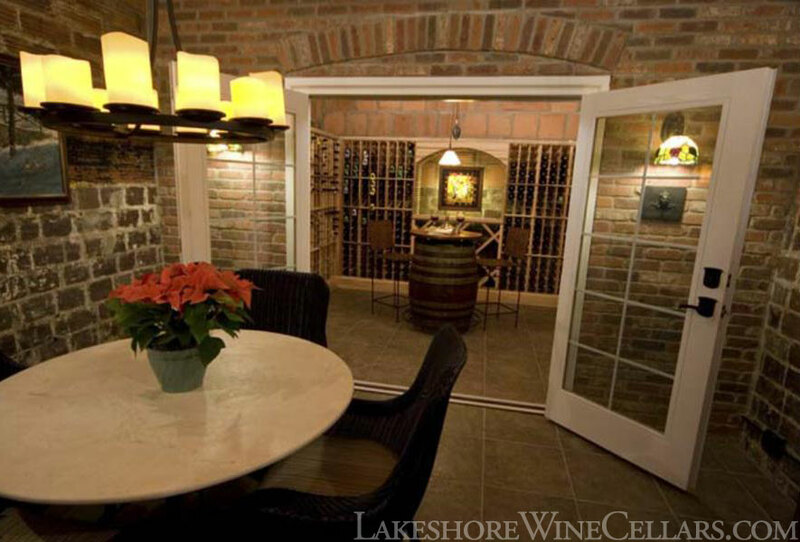 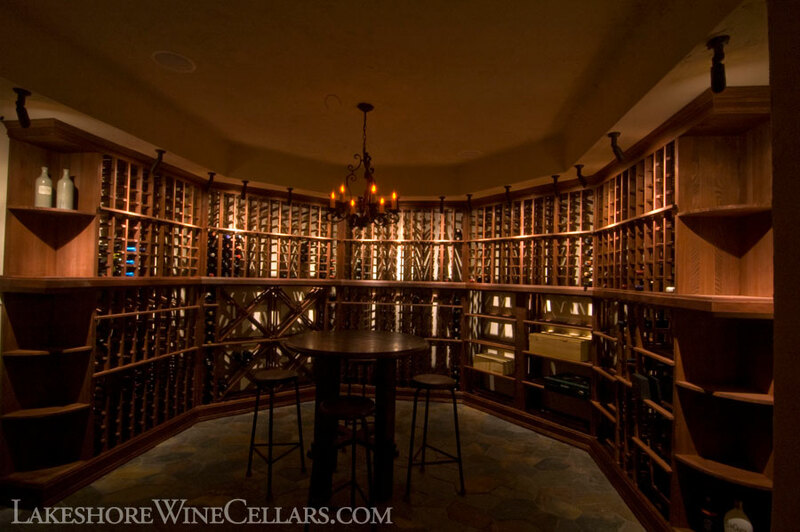 Let us help design a "custom" look wine cellar with kit racking components. 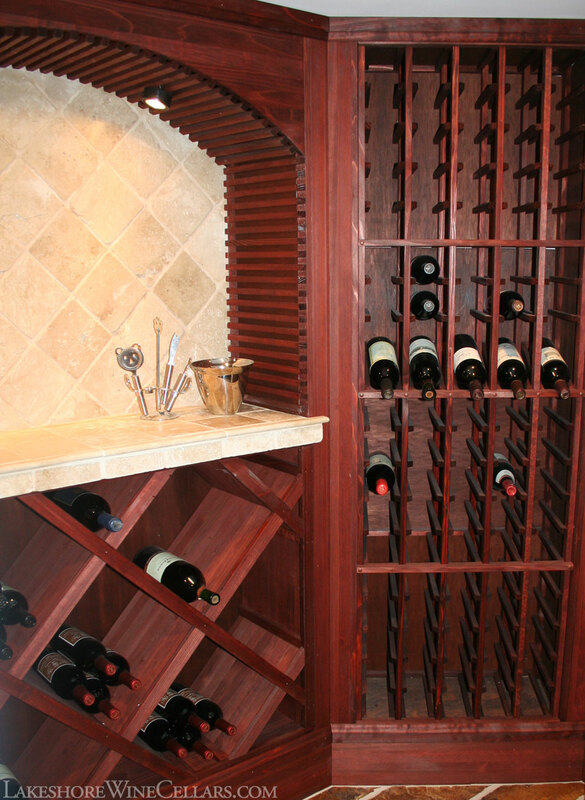 Many rack options and wood choices are available. 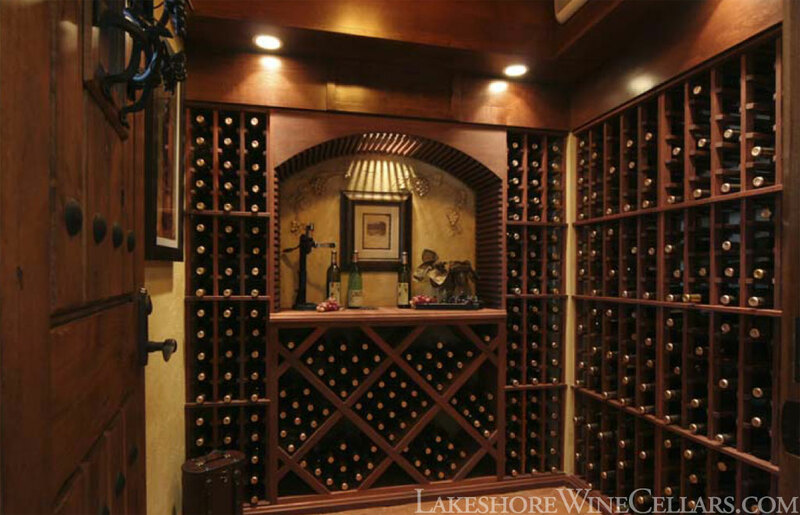 Seen below is a budget friendly cellar with full bottle depth racking, stained redwood (no vapor) and custom moldings. 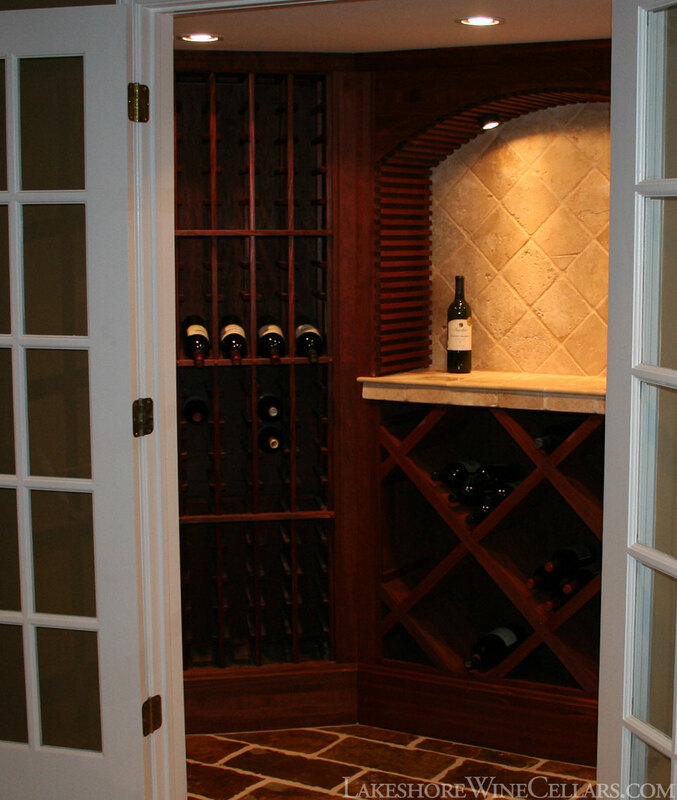 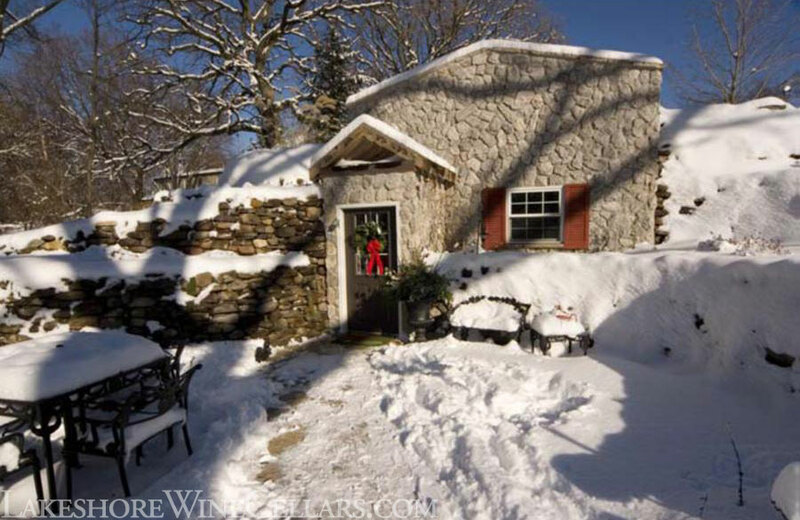 Installation is available or a DYI project for the customer with basic carpentry skills.